We’re a member of the Association of American Universities (AAU), meaning we’re one of the top 32 public research universities in the nation. We’re one of two AAU members in the Pacific Northwest, and the only one in Oregon. Research is one of the things that makes us who we are. We value the curiosity that drives Ducks to seek solutions to big problems, little problems, and problems that everyone thinks are already solved. With many projects to choose from, our students get access to internships and research opportunities. In fact, 80.5 percent of our undergraduate students participate in some form of research. The University of Oregon's Phil and Penny Knight Campus for Accelerating Scientific Impact is an ambitious $1 billion initiative to fast-track scientific discoveries into innovations that improve quality of life for people in Oregon, the nation, and the world. The Knight Campus will work to reshape the state’s public higher education landscape by training new generations of scientists, engaging in new interdisciplinary research, forging tighter ties with industry and entrepreneurs, and creating new educational opportunities for graduate and undergraduate students. Robert Guldberg took the helm of the Phil and Penny Knight Campus for Accelerating Scientific Impact in the summer of 2018. Innovation is our favorite UO tradition. 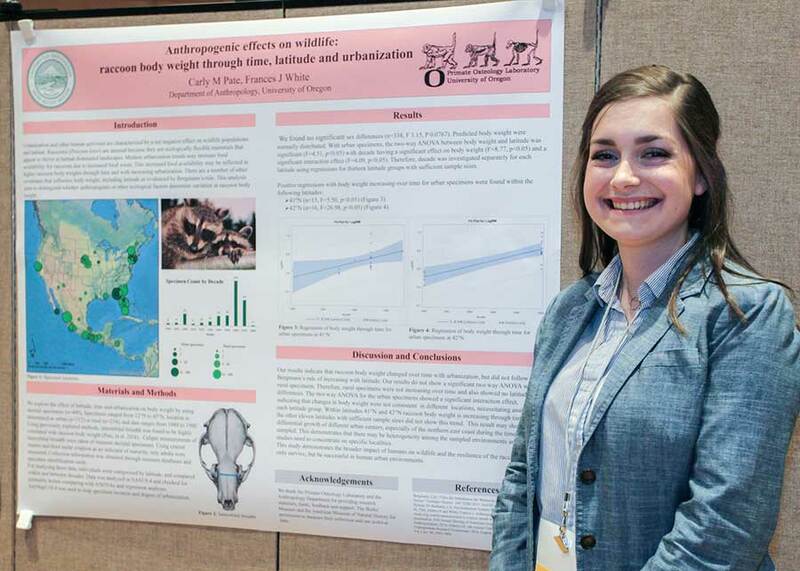 That’s why we have the annual Undergraduate Research Symposium—to highlight the outstanding original research, creative work, and community-based projects our undergraduates produce. 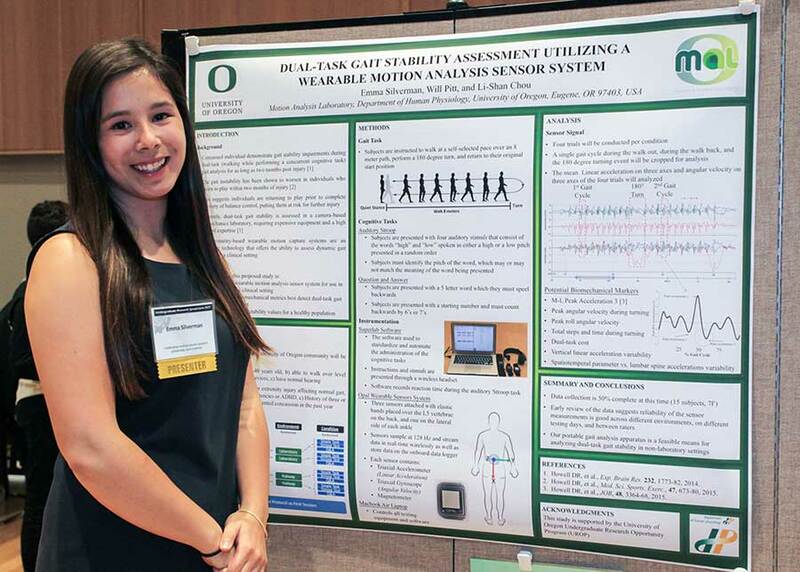 Excellence in research attracts a world-class faculty to the University of Oregon. Our Health Promotion and Obesity Prevention Initiative aims to address the nation's obesity epidemic, especially prevalent among young people, through collaborative efforts of researchers from different disciplines. Part of the Clusters of Excellence Faculty Hiring program, the initiative integrates new expertise with existing research in related disciplines and build on our longstanding strengths in prevention science and biological systems. Liz Budd’s research is focused on how social and physical environments of youth and adolescents influence their health behaviors and she aims to build community connections through neighborhood programs and policies within schools. Nicole Giuliani aims to map out individual- and family-based interventions drawn from her research on basic brain processes and mechanisms that are tied to emotion and self-regulation when it comes to eating decisions. Nichole Kelly's research aims to identify effective strategies for improving eating behaviors in order to help children and their families live healthier lives. 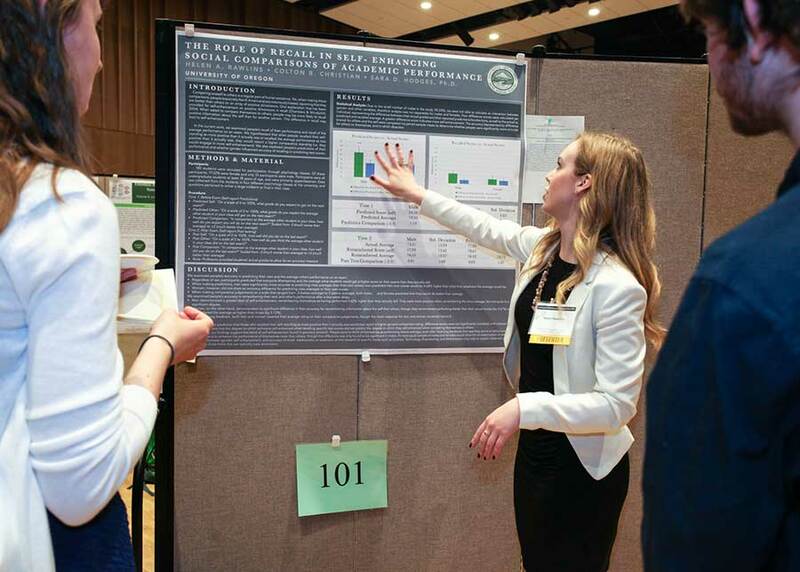 Elinor Sullivan's research examines the influence of maternal nutrition and how other factors, such as the metabolic state of mothers during pregnancy, affect children during early development and result in long-term implications for lifelong health. More than 23,000 schools in the United States and internationally use our faculty-developed Positive Behavior Interventions and Supports programs and apps. And roughly 1 in 10 students in the United States were impacted by the use of our School Wide Information Systems. Research, both basic and applied, is an important part of learning, engaging students in the scholarly work of faculty, fostering inquiry and experimentation, and developing intellectual rigor and discipline. Our research encompasses thousands of scholarly, scientific, and creative endeavors. We train students in the real-world knowledge and skills necessary to be successful, helping you prepare for a successful career. Undergraduate participation in research is a hallmark of a quality liberal arts education. 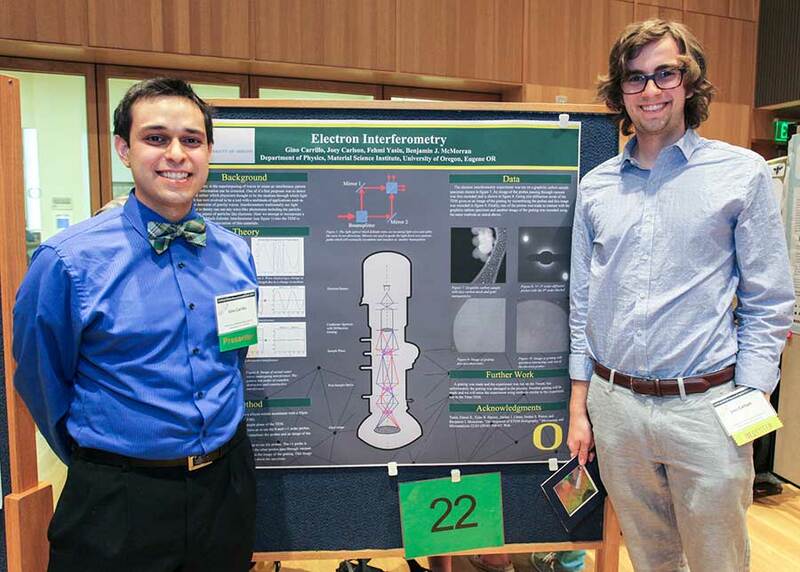 At the University of Oregon undergraduate students from all academic disciplines are working with faculty to investigate, discover, create, and innovate; all while developing the skills to prepare them for careers in academia, industry, and the private and public sectors. 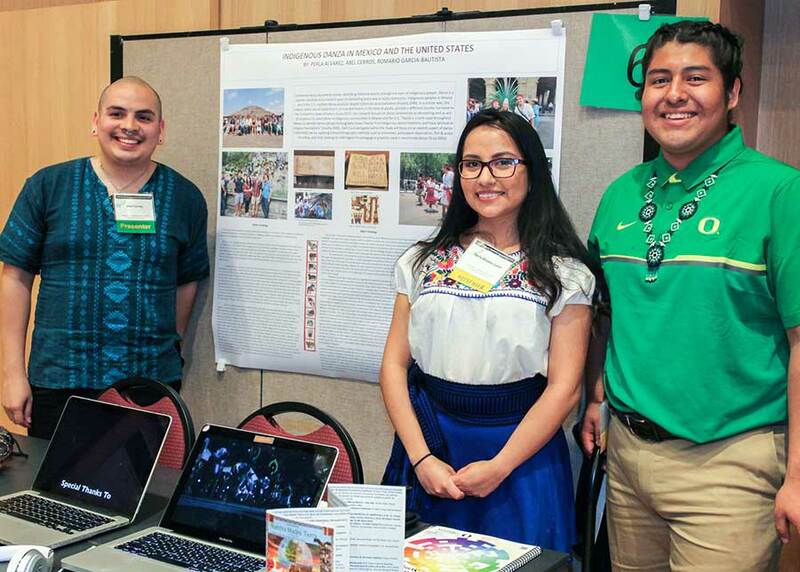 The Undergraduate Research Opportunity Program provides resources and services in support of student engagement in faculty-mentored undergraduate research and creative scholarship activities. Our discoveries do not stay confined to the laboratory—they are out creating jobs and improving the lives of the people in our state, country, and world. Our researchers receive funding from federal agencies, state governments, and private foundations to support research pushing the boundaries of our knowledge. Research creates jobs for the people who live in our communities, pay state taxes, and send their children to our schools. We embolden innovation and economic development through strategic partnering and technology transfer initiatives. We are reaching beyond campus boundaries to form strategic partnerships, advancing the national research agenda in everything from theoretical physics to neuroscience and microbiology. Students and faculty members from an array of departments are sharing the UO's downtown innovation hub with local entrepreneurs, creating opportunities for cross-pollination and exposure to real-world business activity.